The 4 H journey has been a lot of work and a little bit of a downer if you would have checked in with me as of Tuesday but life is unpredictable. 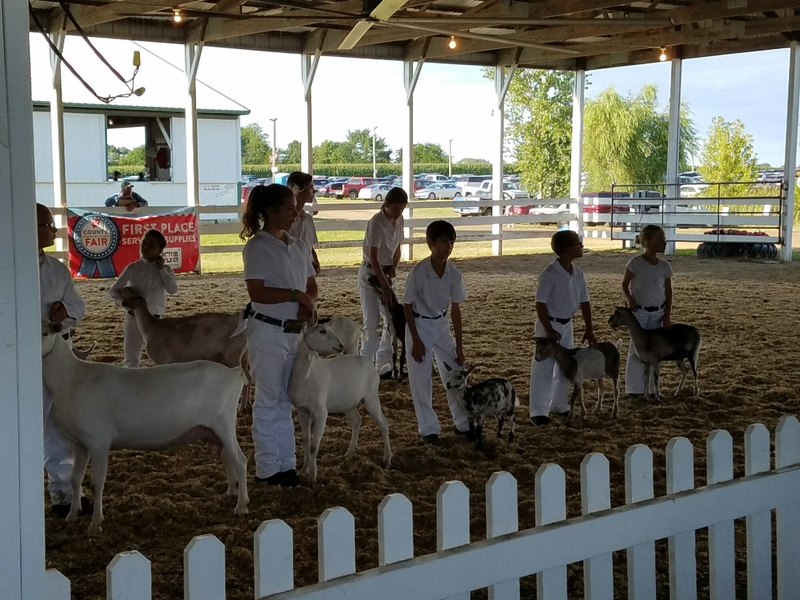 After I had received the call that this year was not an option for showing the goats at the county to fair, the family went through a grieving process. I accepted their decision but it was hard. Our club leader’s last words was let me dig into the issue. I didn’t hear from her the next day but Thursday morning she left a message for me to call her. I called her back and she told me that all the fair superintendents had a late meeting and discovered how many families this affected. After that meeting they decided to allow the families to participate this year. So, the kids and I loaded up the pilot and headed out to the fair. We decided not to put them in a pen to cause more work but hung out in the goat barn with the goats on a leash. Once we got to the fair grounds everything seemed to settle. I began to see all the hard work and talented people that 4H has been know for. The goats were a huge hit. Everyone wanted to talk about the goats. Even one lady wanted to know if I would be bredding them soon. We left Charlie at home and only brought the girls. I was a little nervous but when Dustin checked on hom he was lounging with all the chickens. Sadie was still a clover bud so just showed once at the fair and did an interview. Eli ended up showing several times and when asked if he wanted to do it again he eagerly said yes. The first round was in showmanship. Eli did an amazing job and Aspen was wonderful. Eli was a little nervous but really put on a great show. We were initially nervous because the judge had switched sides and Eli didn’t see it and had his back to the judge. The judge walked over and talked to him. After that he remembered to put the goat first. He knew this but seemed to forget once he was in the ring. He ended up receiving 4th out of 15 or 16 kids. 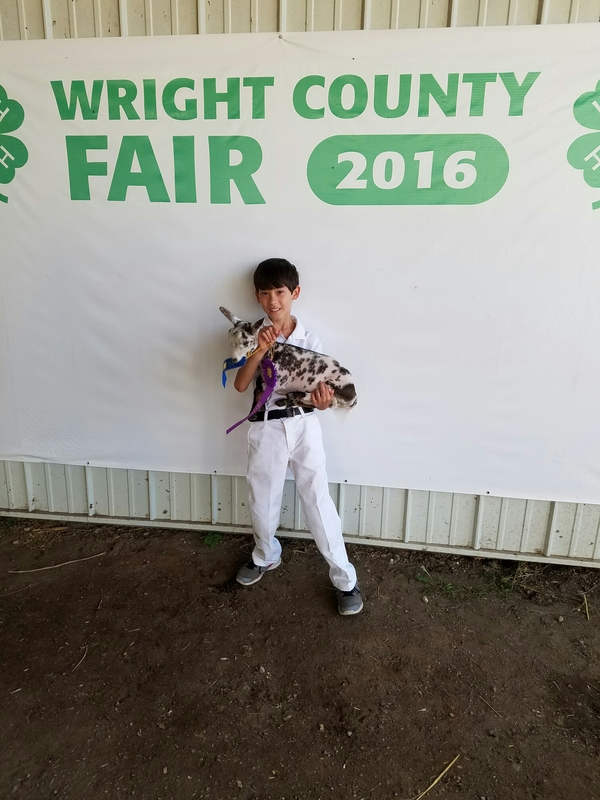 What really topped his day was to receive reserve champion for Nigerian dwarf breed. 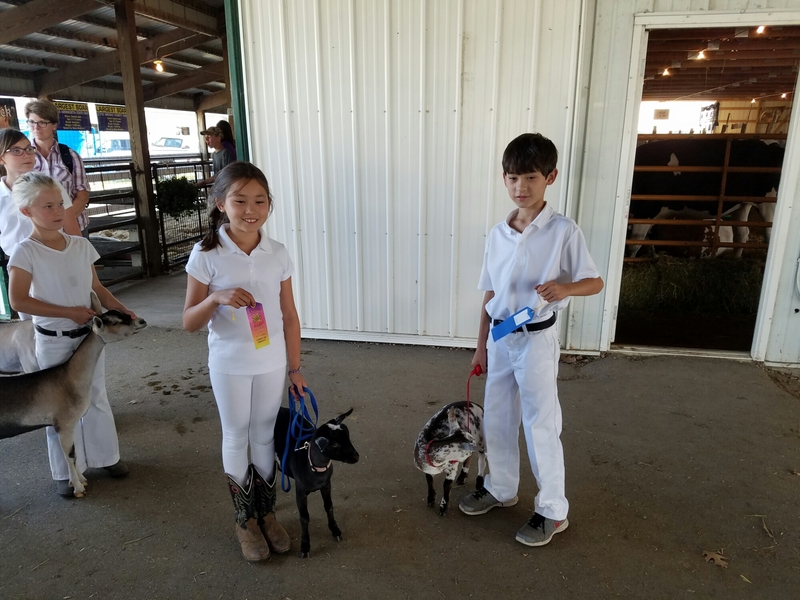 The kids had tons of support from friends and family and everyone did great- goat kids and human kids. 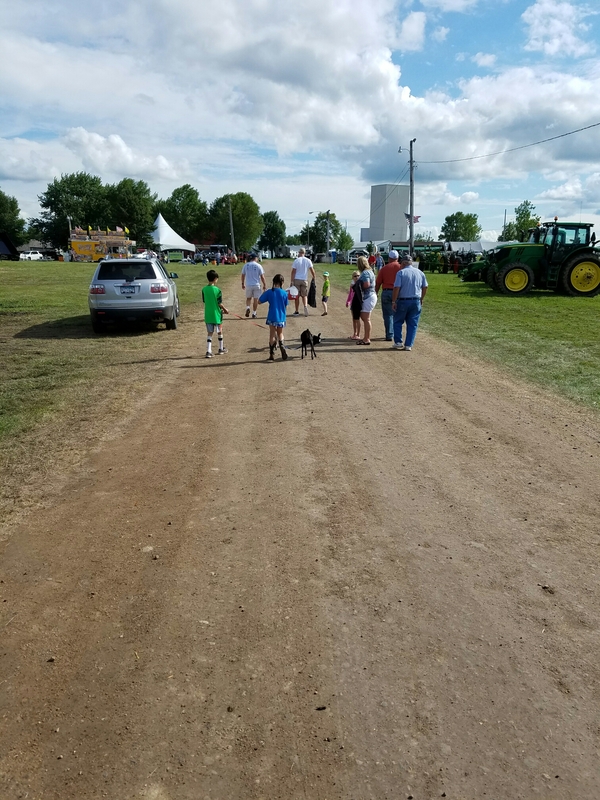 My big take away was finally seeing the unique community 4 H is and how special the experiences turned into for the kids. 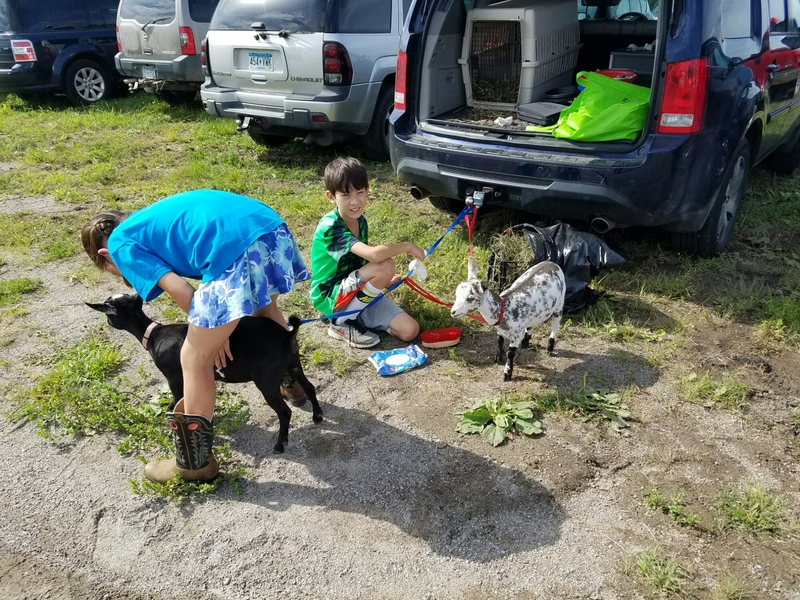 I watched my children proudly show their pets and educate fair goers around goat care. We were able to make better connections with our club and the support they gave us was wonderful. A true definition of community. A huge thanks to all for the comments and support through this journey. This has been a memorable one with a happy ending.